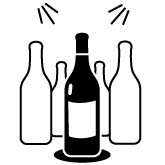 buy directly from more than 110 Champagne winegrowers! 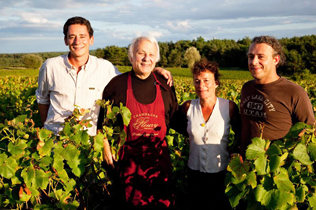 This family vineyard is located in the Coteaux Sud d'Epernay region. 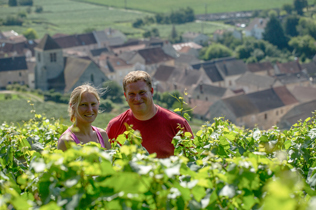 Sandrine, Pascal and their son Thibaut cultivate the three grape varieties in the champagne appellation spread over a mosaic of 42 plots. The glass of Champagne Drappier was lifted by the hands of the greatest men. General De Gaulle, for example, was a fan of the estate's vintages. 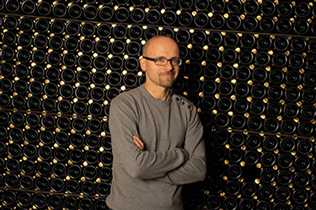 This success can be explained in particular by the application of the winegrowers, to cultivate and find unique plots. 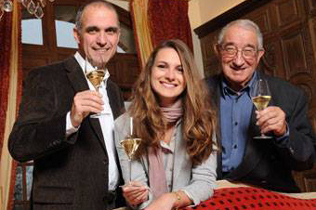 Since 1895, the history of the Fleury family has been rooted in the heart of southern Champagne. 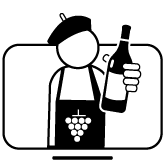 She cultivates a vineyard located in Courteron, 45 km south of Troyes, which extends over 15 hectares cultivated in biodynamic agriculture, according to the laws of life. The common point between an Ariane rocket launch in Kourou and a reception in an embassy: the Maison Gremillet! Historical supplier to Embassies and Consulates around the world for forty years! When Cyril's grandparents were taking care of the vines, they still delivered the grapes to the village cooperative. In 1964 Marie-Claude and Michel, her parents, took over the reins and decided to install their press: they then began the adventure of winemaking at the Domaine. Located on hillsides overlooking part of the Marne, near Château-Thierry, the Champagne Marteaux vineyard has all the conditions to make a very beautiful wine.